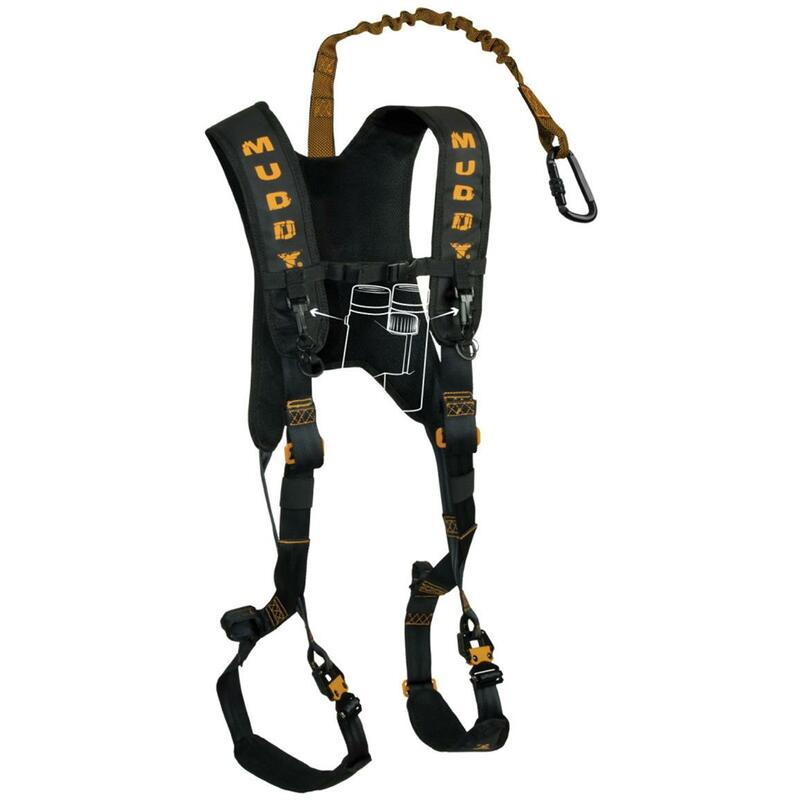 Muddy® The Diamondback Safety Harness. The ultimate hunt-ready package! Light and durable with adjustments to fit most hunters! Safety doesn't have to mean bulky - the proof is right here. It boasts an ultra-adjustable design, making it the ideal safety harness for any hunter or hunting family. Muddy The Diamondback Safety Harness is rated 4.5 out of 5 by 2. Rated 4 out of 5 by Calvin from Great harness Good fitting harness for under or over my clothes. I had a problem with the lanyard. It's lightweight and functional, BUT to short. Another 18" would be perfect. It won't go around larger trees. I'm using my old lanyard for now. I don't know who to call or order longer one from. I would recommend this product with a longer rope. Rated 5 out of 5 by Jimbo from Great product & a great price. Connects you to the tree from anywhere you hunt.